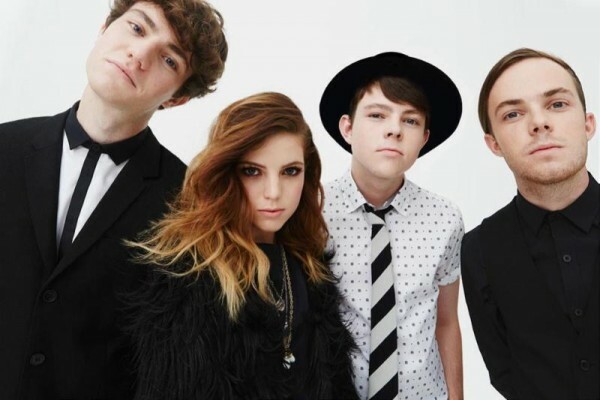 Just this week, Echosmith has premiered their video for “Bright,” their new single already making waves on the airwaves. The alt-pop band is young – all siblings, all between the ages of 15 and 21 – and they have that fresh new feel that comes with so much early talent. Their previous single, “Cool Kids,” was a breakout hit, going platinum, and “Bright” promises the same light-hearted but earnest look at the world. Lead singer Sydney Sierota said the song is “just about love.” The video is beautiful and romantic, matching lyrics about the stars and planets with a storyline of a group of friends gathering for a meteor shower. It’s a good song for Valentine’s day; sweet. The band just launched their first full-scale headline tour across the country, with multiple dates already sold out, and upcoming stops including Atlanta, New York, and Philadelphia. This past year, they have been featured on both MTV and VH1 in sections profiling artists to look out for in the future. Check out “Bright” below, and stay tuned for more about these LA siblings.